I wanted to write you a letter to my express my gratitude for your products. 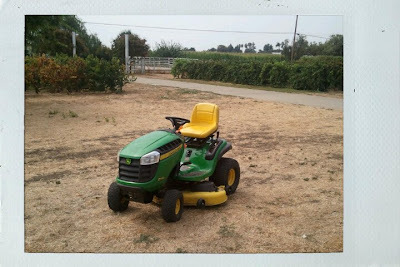 When I see green and yellow, I am reminded of my childhood and how I used to imagine how awesome it would be to have my very own riding lawn mower. I have recently purchased one of your products and I am amazed at both its capability and its addictive nature. 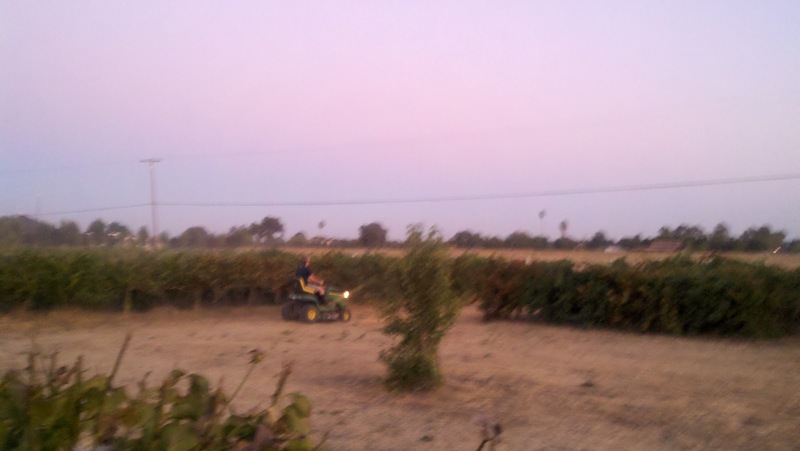 When I am on my John Deere, it does not feel like work, but more like a Disneyland ride with it's bumpy, fun and All-American nature. I have read parts of your instruction manual and I have watched your safety video, which tells me to not take my son on tractor rides. Although I do agree that I need to use caution and turn off the vehicle when my son is in the area, I am dismayed that you would advise me in this way. 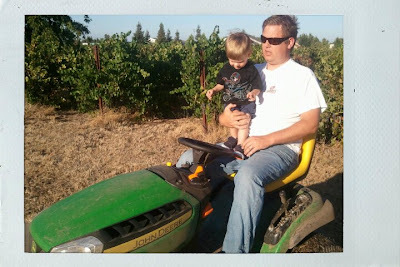 Do you really expect me to deprive my boy of a tractor ride? That's like making a chocolate cake and telling my wife that she can't have any. It just doesn't work. The great thing about your product is that I can leverage it to get my friends and family to do work for me for free. 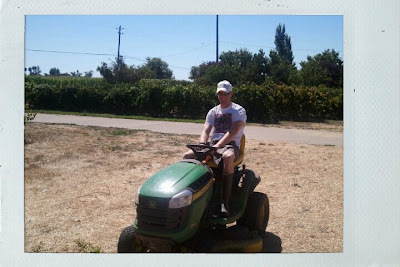 I realized this last week when I told my brother that I needed to finish mowing the vineyard and he gladly volunteered to do the work for me. Now I have him hooked! Then my old college roommate Dave, and his wife and son visited the vineyard. 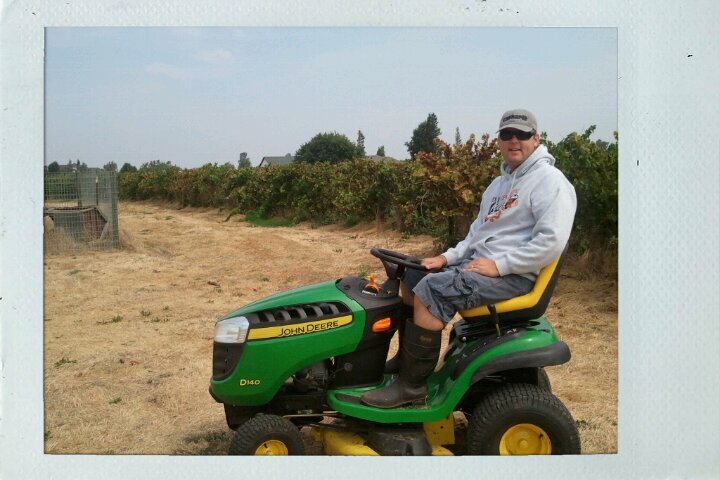 I easily enticed Dave to take the tractor for a ride. He stayed on it for a couple of hours and by the end was covered in dirt from head to toe. I asked him how things were going and he grinned ear to ear and I knew he was having the time of his life. So you see, everybody loves my John Deere. 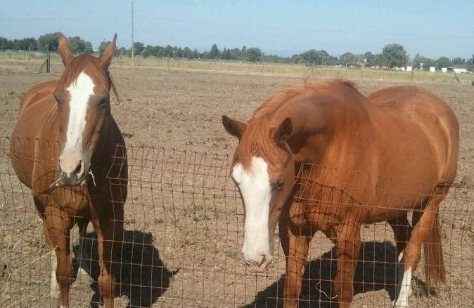 Even the horses sometimes come to the fence line to watch the marvelous design of the John Deere! In short, thank you John Deere for fulfilling my childhood dream. I am now not only a fan, but an owner, a believer, a promoter and a friend.